We've seen 47501 meet its end at least once before, after which it was fitted with a Class 57 style cooler group at Eastleigh and returned to traffic using parts from 47839. This time it appears that it has wheel flat issues after being dragged from Norwich to Lowestoft on 2nd September, and has now been stored XHSS (DRS Locomotives Stored). It last appeared on these pages working on 22nd August, and my last picture is that above. The big question now is as to whether West Coast may take it for repair or spares? 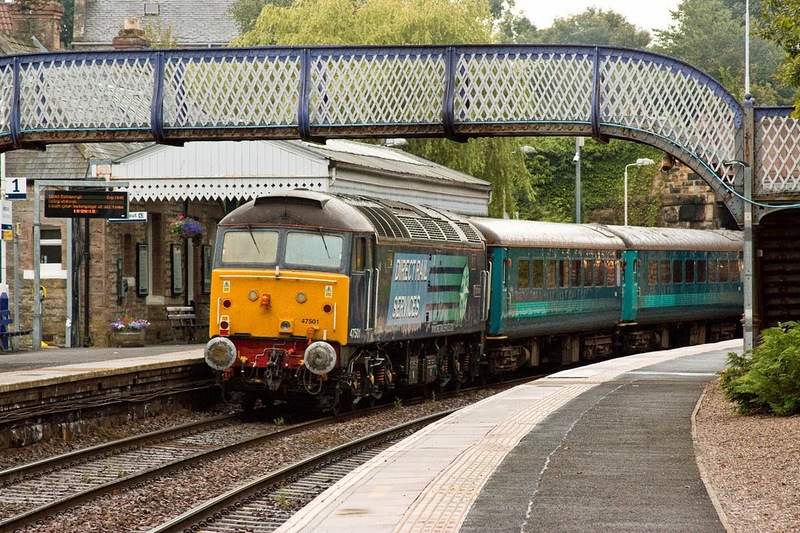 47802, to the same diagram, is expected to start a new career based at Carnforth, following in the steps of 47832. UPDATE 30th October: 47501 has been dragged on a wheel skate to Dereham on the Mid Norfolk Railway, a previously practised procedure for removals by road from Crown Point. Speculation remains as to its next location, WNXX,com suggesting that it may be being disposed of to Locomotive Services Ltd.